Christmas is a magical time for children and visits to Santa are a big part of the buildup to the Christmas vacation. Santa’s Magic Button is all about the magic of Christmas. David, who is 10 years old, no longer believes in Santa, and not even his brother can convince him that Santa is real. But then David finds a strange button in the snow that leads to a magical Christmas adventure that he will never forget. Audiobooks provide a wonderful alternative for keeping the magic alive during the Christmas period and of building the excitement before Christmas. 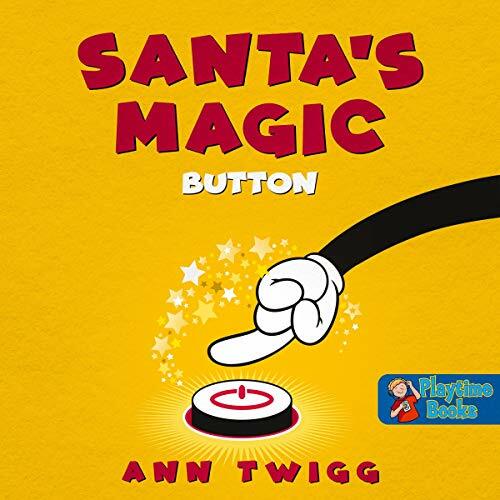 Santa’s Magic Button was written and narrated by Ann Twigg, who has three children, eight grandchildren, and three great grandchildren. Ann wrote this for her grandson, who wanted to listen to a Christmas story over the festive season. Ann has an amazing way with words having worked with young children most of her adult life and you can sense her skill and passion as she brings this magical Christmas tale to life. This story provides perfect listening for young kids and will leave them wanting to listen again and again during the buildup to Christmas! Scroll up to buy this audiobook now!